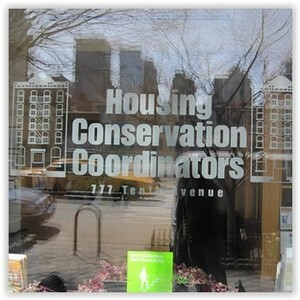 Housing Conservation Coordinators is a not-for-profit organization based in Clinton/Hell’s Kitchen that seeks to preserve safe, decent and affordable housing. Each year, HCC helps thousands of neighborhood residents keep their homes, improve their living conditions and fight for the changes that will keep our neighborhood affordable and diverse for years to come. We provide services such as legal representation, tenant and community organizing, installation of energy efficient systems through our Weatherization Program, and technical training courses.